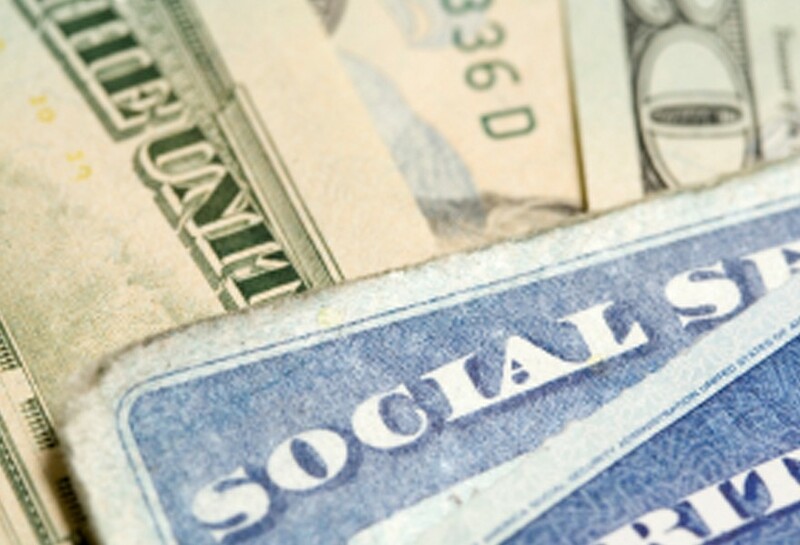 How Social Security Works | Pacific Financial Planners, LLC. Pacific Financial Planners, LLC. Pacific Financial Planners, LLC. Posted on May 1, 2014 by Pacific Financial Planners, LLC. The Social Security program was signed into law in 1935 after the nation had endured more than a half-decade of the Great Depression. It was intended to provide a safety net of income for individuals too old or disabled to continue working. Participation in the Social Security program is mandatory, with most wage earners contributing a percentage of their annual incomes to support the program. In return, participants, their spouses, and certain dependents are eligible for retirement, disability, and survivorship benefits. Today, approximately 90% of people aged 65 and older receive a Social Security benefit check each month. For many, this benefit is their primary source of retirement income. Each year you work, you and your employer contribute to the Social Security program in equal amounts. Your benefits are based on a calculation that includes how many years you worked and how much you earned. These figures are used to determine the number of quarterly credits you accumulated toward benefits. If you were born prior to 1938, you may collect full Social Security benefits when you turn 65, or you may collect 80% of your benefit if you retire at 62. For people born after 1938, Normal Retirement Age (NRA), or the age at which you can receive full benefits, gradually increases from age 65 to age 67. To determine your NRA, visit http://www.ssa.gov. When you die, your surviving spouse is entitled to your benefits, unless he or she would collect more based on their own earnings history. Your Social Security account opens once you receive a Social Security card. However, it is not activated until you begin earning income. Once your earnings begin, the amount you contribute each year is recorded. The accuracy of this record is important. You can obtain a copy of your earnings record from the Social Security Administration by filling out and mailing Form 7004. Forms are available at your local Social Security office or by calling 800-772-1213 or online at www.ssa.gov/online/ssa-7004.html. If you discover errors in your record, you can ask that it be corrected, though you must supply evidence of such errors. The Social Security Administration encourages people to check their earnings records every three years or so, because the earlier a problem is found, the easier it is to correct. Once you begin receiving retirement benefits, you may have to include them as part of your taxable income reported to the IRS each year. If your total income for the year, including half of your Social Security and your tax-exempt earnings, is greater than $32,000 ($25,000 for single taxpayers), you will owe federal income tax on a portion of your Social Security benefits. The IRS provides a worksheet to help you determine how much you must include in your taxable income each year. Among elderly Social Security beneficiaries, 54% of married couples and 74% of unmarried persons receive half or more of their income from Social Security. Material discussed is meant for general illustration and/or informational purposes only and it is not to be construed as tax, legal, or investment advice. Although the information has been gathered from sources believed to be reliable, please note that individual situations can vary therefore, the information should be relied upon when coordinated with individual professional advice. Past performance is no guarantee of future results. Diversification does not ensure against loss. Source: Financial Visions, Inc.
Sign Up for our Free Video Series! Pacific Financial Planners, LLC. is an Independent Registered Investment Advisor located in Laguna Niguel, CA. Securities offered through Western International Securities, Inc. Headquartered in Pasadena, CA. *Pacific Financial Planners, LLC. and Western International Securities, Inc. are separate and unaffiliated. Copyright © 2019 · All Rights Reserved · Pacific Financial Planners, LLC.